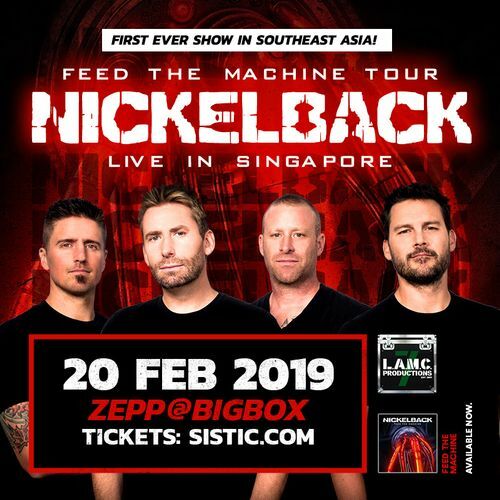 LAMC Productions is pleased to announce that Canadian Rock band, Nickelback will hold their first concert in Singapore! Nickelback released their highly anticipated ninth studio album Feed The Machine in June of 2017, which debuted in the Top 5 on the Billboard charts and spent the better part of 2017 and 2018 performing over 80 sold-out shows around the world. This is a free-standing event.